On Tuesday, January 31, 2017, our beloved Frater Odo Nanyanje, OSB, of Hanga Abbey died in Dar es Salaam where he was being treated for malaria. The real cause of his death is his diabetic condition that was worsened by the malaria. Frater Odo was originally from Kitangali village in Mtwara region, southern Tanzania. He was born on the 19th of February 1952. He he joined monastic life at Hanga Abbey making his first monastic profession on July 11th, 1973. As a monk of Hanga Abbey, Frater Odo has spent most of his life as a teacher and formator. He has taught at Hanga Religious Seminary twice and in the last term when he was assigned at the seminary, he was made the Rector. 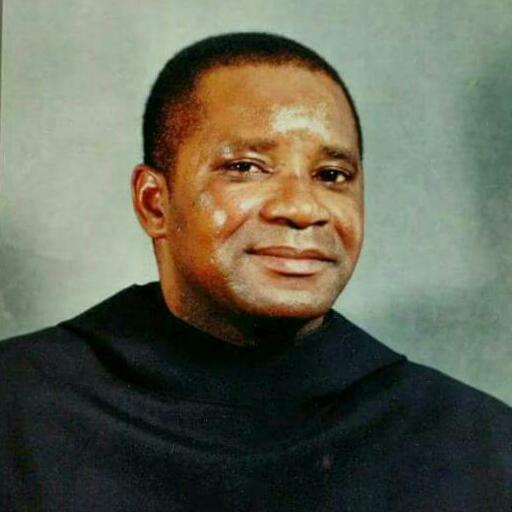 Frater Odo had also an opportunity of doing studies in USA where he earned Masters degree in Monastic Studies at St. John's University in Minnesota. With this degree Frater Odo was able to give religious talks and retreats to many religious communities of both men and women throughout Tanzania. At the abbey he always had classes teaching novices and postulants. He was responsible for the founding of Nakagugu Formation House and he chose St. John Bosco to be the patron saint of the center. Surprisingly, Frater Odo died on the feast of St. John Bosco. Indeed, like St. John Bosco who loved and cared for young people, so did Frater Odo. To many people outside the monastery Frater Odo was known and credited for his zeal and spirit of helping the poor. He would do everything he could to help someone in need, sometimes to the point of himself being in danger. At the abbey he was known to be a great motivator. If there was any issue difficult to be understood by the community members or a hard task or project to accomplish Frater Odo was the right person to motivate the monks. Also, frater Odo, was known to be free from material attachment! You could give him a gift and the next day someone else had it! And above all he cherished and loved monastic life. May he rest in peace!